The Mahindra XUV300 will be going on sale in February 2019 and has been for the first time on open roads in production form. 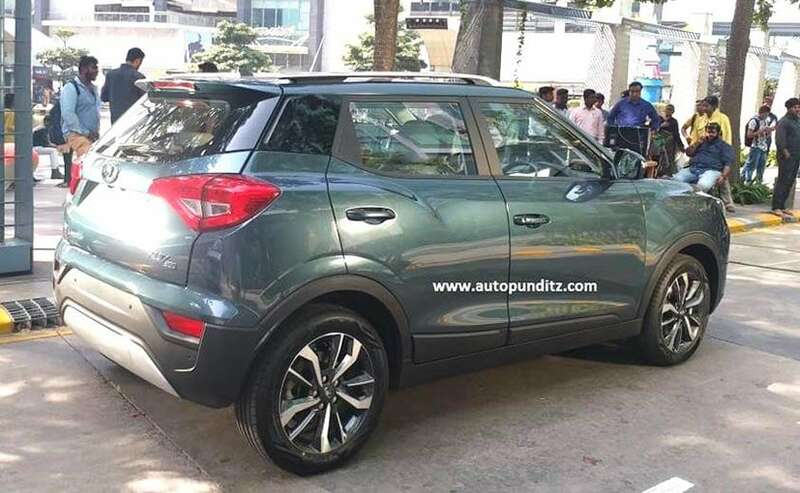 The Mahindra XUV300 is the name of the automaker's all-new subcompact SUV and while images and the production name were revealed a few days ago, the car is yet to make its public debut. 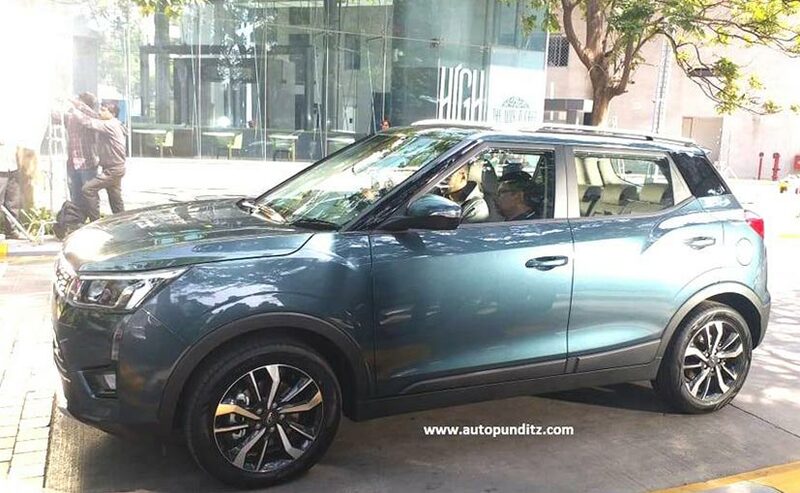 Now, ahead of its launch early next year, the Mahindra XUV300 has been spotted in the open at what seems to be an ad shoot. The new images give a better understanding of what to expect from the upcoming sub 4-metre SUV. Interestingly, you can also see the baby XUV300 share space with the Mahindra XUV500, showcasing the similarities. Also Read: Mahindra XUV500: 5 Things To Know! Going by the images, the Mahindra XUV300 certainly commands presence and also gives a glimpse at the evolution of Mahindra's design language over the years. Much like the XUV500, the new XUV300 also follows the Cheetah inspired styling and will follow the W nomenclature for variants with 'W8' most likely being the range-topping version. On the top-of-the-line trim, the SUV comes with projector lamps with LED daytime running lights, diamond cut alloy wheels, roof mounted spoiler and more. The grille is identical to the XUV500, albeit follows a more angular frame. 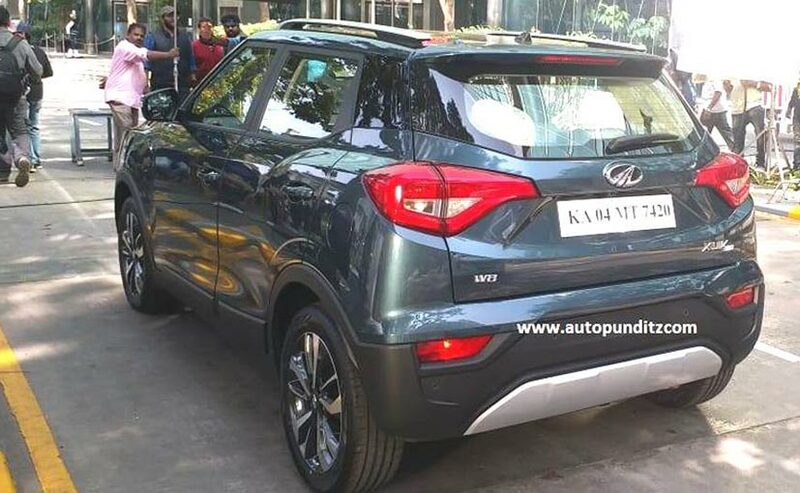 Inside, the Mahindra XUV300 will come with a dual tone dashboard, touchscreen infotainment system with Apple CarPlay and Android Auto, auto climate control, dual pod instrument console, height adjustable driver's seat, adjustable rear head rests with a dedicated head rest for the middle passenger. The subcompact SUV will come with a segment first seven airbags, along with reverse camera and parking sensors, ABS, EBD, ESP and more. The XUV300 is expected to come with a 1.5-litre diesel and a newly developed 1.2-litre G80 turbocharged petrol engine. Transmission option will include a 6-speed manual gearbox. Mahindra hasn't revealed the power figures yet save for saying that the SUV will offer best-in-class torque output. An automatic version is likely to be on offer later. The Mahindra XUV300 will be positioned at the premium end of the subcompact SUV segment in India and will be locking horns against the Maruti Suzuki Vitara Brezza, Ford EcoSport, Tata Nexon and the likes.